Another of the honey glazed shapes .... there were so many! 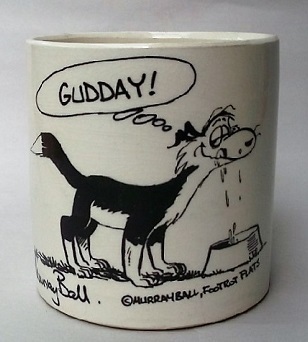 This was made at Titian Potteries after it was bought out by Crown Lynn. 1964 - 1989"
So that settles that !! Auctions on Trademe cannot be taken at face value without research....... I see errors every day!! I've stopped trying to right the Trademe world, as some traders don't want to be corrected. I just recently found one of these mugs so thanks for the info, I got a 1312 footed mug as well but have not had time to photograph it yet. 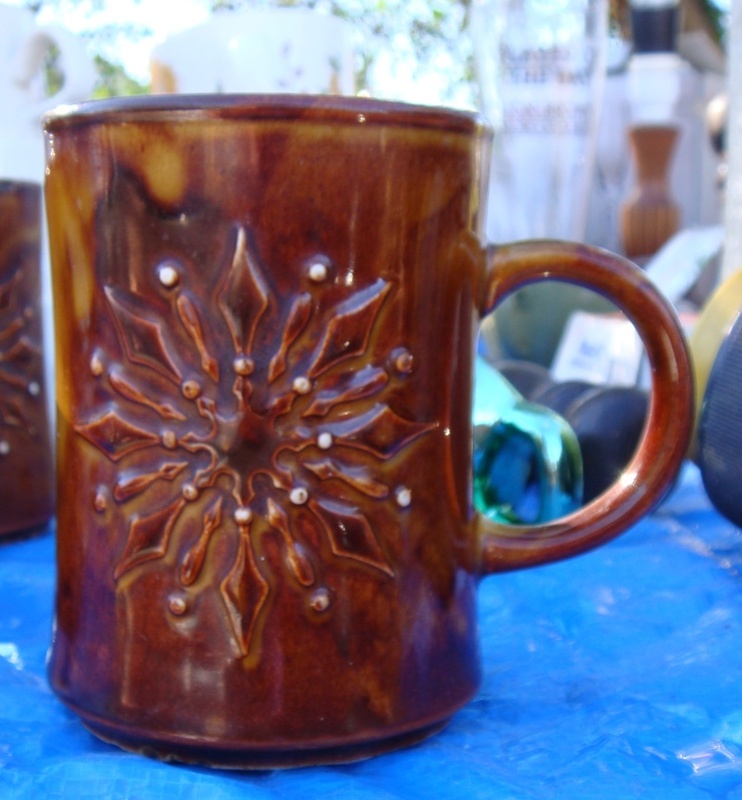 I just had a look at the 1312 mug in the gallery and my one has the 3 shades glaze. Cream at the bottom, light brown, then treacle brown at the top. Shall I still add a photo of it? 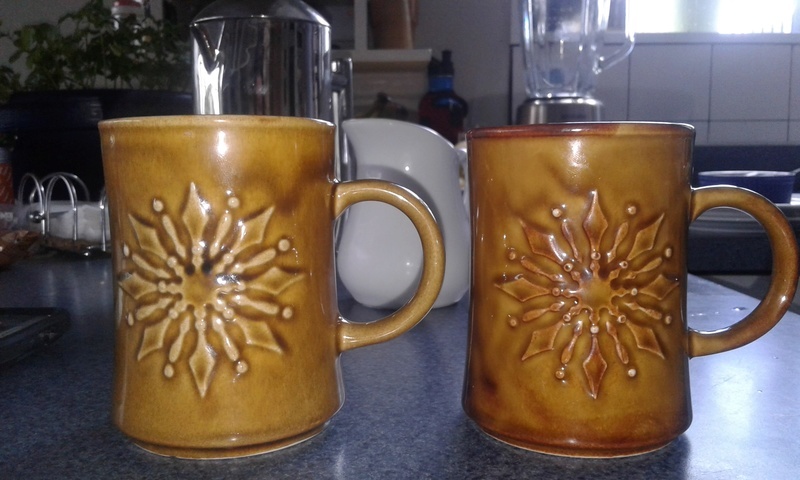 A friend of mine has recently acquired three of these mugs (yes I possibly had something to do with that!) and is curious about the variation in size between them, especially after I explained that no, they're not hand made. I suggested that some were fired hotter/longer/different place in the kiln than others, and would like to know whether we're on the right track with that? The larger one also looks less distinct. 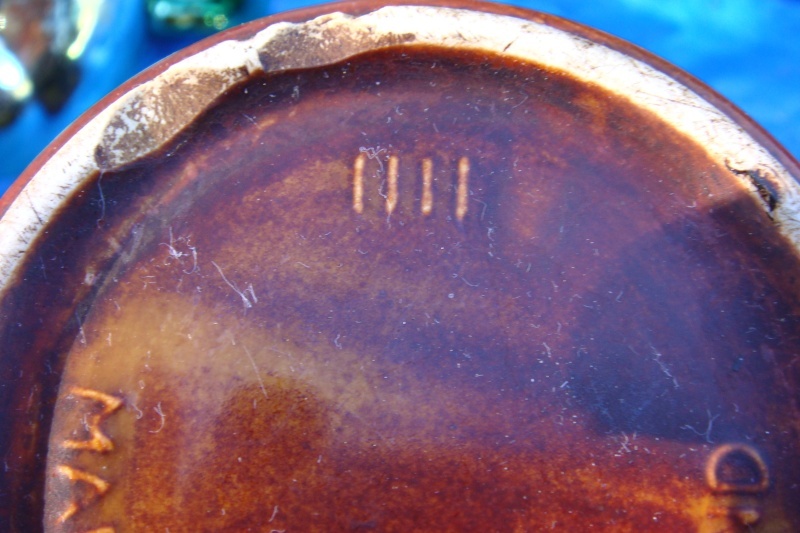 There are many causes for size variation outside the kiln too including slip recipe, water content in the slip, and timing of the pour, but in this instance I think maybe the age or generation of the mould may also be a factor.